Our aim is to ensure you enjoy a comfortable stay. We are always on hand to share our passion for our region and its hidden secrets with you, as well as to listen to your needs to continually improve our service. We hope you feel at home in our hotel. 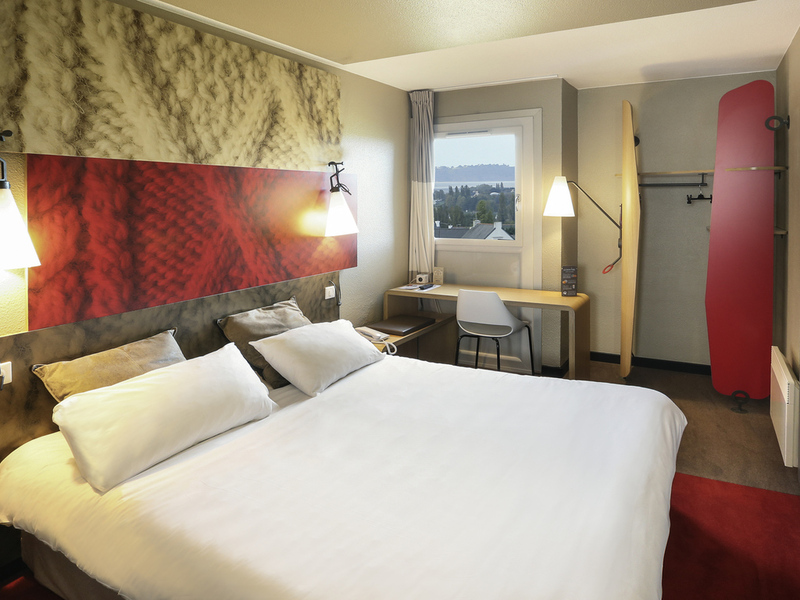 Discover our brand new rooms in the first hotel as you arrive in the Saint-Brieuc area, just off the RN 12. The town center, train station and the Palais des Congrès de Saint Brieuc are all easily accessible in just 10 minutes. Admire Saint-Brieuc Bay in the distance. Fast, free WIFI, Lounge Bar, 24/7 catering and a large, free private car park. Enjoy a breath of sea air during your stay, just 2.5 mi (4 km) from the nearest beach and with the seaside resorts of Val André, Erquy and Binic close by. Ideal stop between Mont St Michel and Côte de Granit Rose.